I loved the switching out on the snap, for sure. 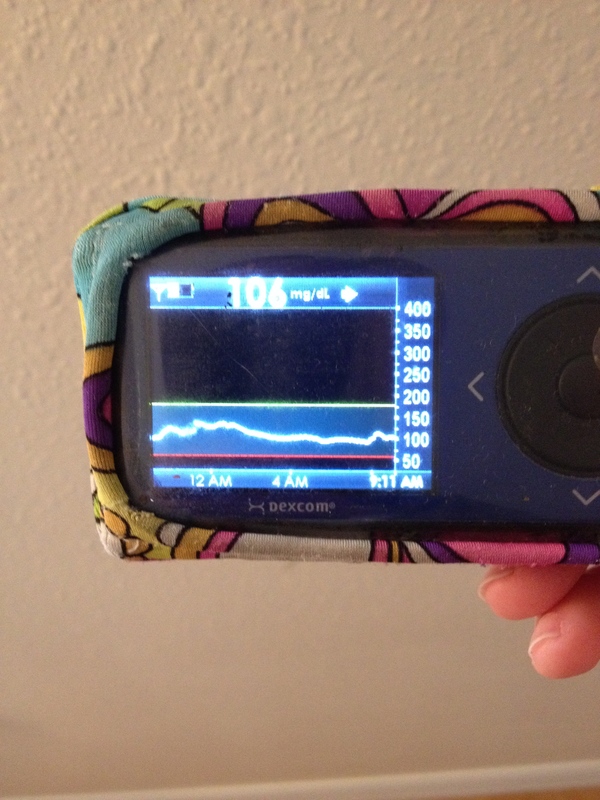 Not worrying about insulin levels for a full week made me realize how much I do think about it. Unfortunately, I realized I could not do without the vibrate – not just when I’d like to be quiet (usually I don’t care) but I came to realize that in crowded/noisy situations – concerts, cocktail parties – I completely rely on feeling the buzz to tell me that a bolus has been delivered or that something is going wrong. I did really appreciate that the snap reps I talked with understood that and seemed to seriously listen to that concern – we’ll see! Thanks for sharing this, Christel. So glad to hear you found this to be the pump choice for you, and I’m definitely on the same page as looking forward to the near-future when we’ll have more smartphone-compatible options with CGM data access. 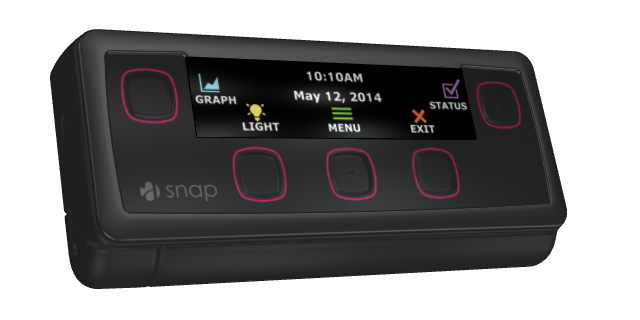 For me, I’d love to try out the Snap but just have not gotten around to it yet… mostly, because I won’t be buying it. The vibration feature is actually a deal-breaker for me, and it’s SUCH AN EASY THING for them to take care of in design — until that happens, the Snap won’t be a serious contender for me, despite all the awesomeness that they have going on with the device and as a company. I am two years away from my next pump and 2-1/4 years away from Medicare. Although I find the Snap very appealing, I have not done the 4-week trial because I think I would really like it. Because it is not covered by Medicare, I would be setting myself up for a huge disappointment. Congrats on the Snap decision. I would’ve signed up six months ago, except I’m a Novolog user and I don’t do particularly well on Humalog. Other than that, I loved the ease of use and the fact that they made it super-easy to do the trial. Thanks! Thanks for the description of this pump. I love how much the glass syringe makes a difference! I’ve been pondering my pump choices for a while now and love reading reviews like this (even if there is no indication from Asante when (if?) the Snap pump might be available in Europe). But like other commenters, that no-vibrate-option really jumped off the screen at me! Since they seem to listen and take into account user needs/preferences, hopefully that can be one upgrade down the line. I hope this pump turns out to be everything you hoped for and more! (except for the vibrating function). Of all the new pumps out there, this is the one that attracts me the most, but the combination of not talking to ANY other device plus the lack of a vibrate function is a dealbreaker for me. (If it was the right fit, I’d be willing to try the switch to Humalog!). But to have their second model out so soon after the first really speaks to something good; they’re not delaying new launches because the regulatory approval-process is such a pain. I must say that I’m really intrigued by the improved BG control with this pump. If all of the ratios are the same (and you’re handling corrections the same), what’s different? Is it the glass insulin-holder? The speed of the bolus? The frequency and size of each basal drip? Or is it possible that (gasp!) the other pumps just don’t deliver insulin as precisely as they claim?! That last one concerns me most. Hey Christel! Do you know if there’s any time frame on the Snap being available nationwide? As I mentioned to you in another forum, the Snap was my first choice, until I discovered that it wasn’t available in my area. Are we talking months, years, … ? ?